As we all should have expected, the new trailer kicked off with Breath of the Wild gameplay. 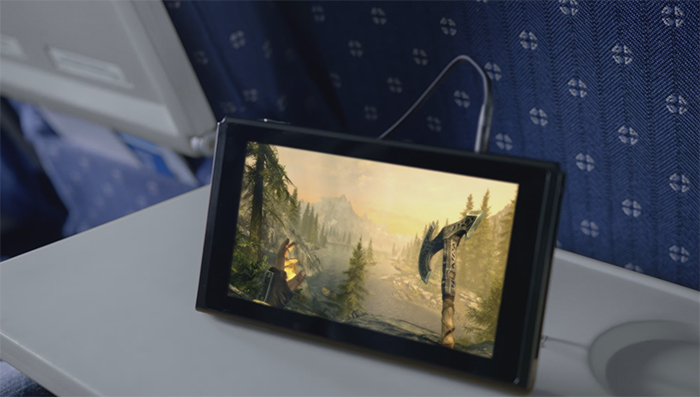 The game still looked beautiful both at home and on the go, with the new footage showcasing Link back to his old archery tricks. 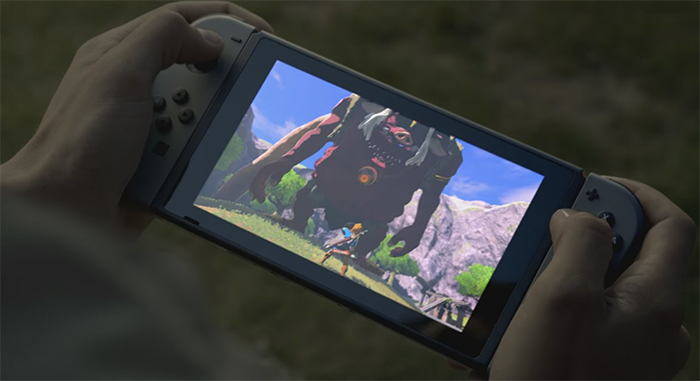 It’s an exciting prospect to be able to take the new, massive Zelda adventure anywhere you go. Immediately showcasing third party support for the system, Nintendo included footage of what we can assume is Skyrim: Special Edition, the remastered version that’s headed to other platforms on October 28th. The collective Nintendo fandom breathed a heavy sigh of relief when seeing triple-A third party support for the Switch. What we saw here was standard Skyrim gameplay: running through a forest, shooting an arrow and fighting a dragon. It had been rumored for quite some time that some of the best Wii U titles would reappear on the next console, and now we can confirm it. Mario Kart 8 seems to be racing onto the Nintendo Switch, but not without some changes. 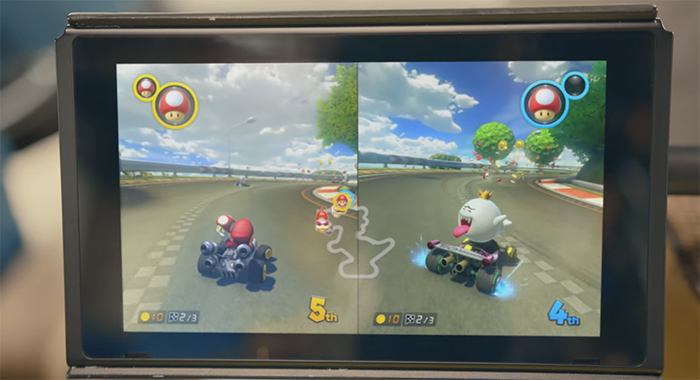 In the brief clip of the game King Boo was shown off, a character not currently in Mario Kart 8. There’s also a new mechanic surrounding the items in Mario Kart gameplay. While we didn’t see enough to know for sure, it looks like drivers can “switch” between two items they have, as previously seen in Double Dash. In another exciting third party move for Nintendo, the ridiculously popular 2K franchise is headed to the Nintendo Switch. 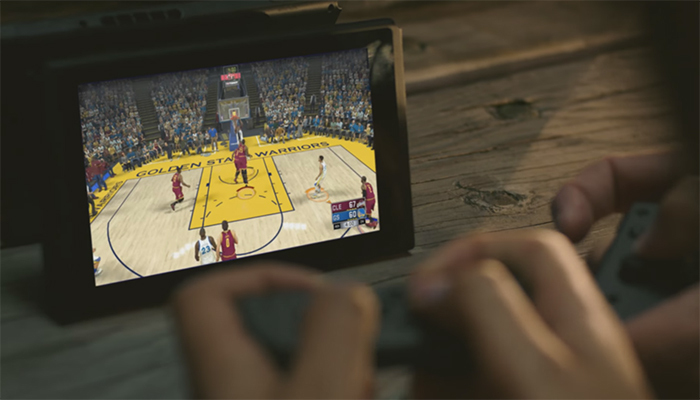 The trailer showed players gathered around the on-the-go version of the Switch slamming dunks and taking names. Ah, the big tease. The first glimpse of the new Mario adventure was brief, but extremely exciting. 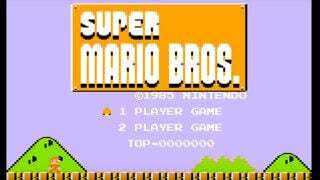 Mario is running and jumping through a bright, vibrant world. 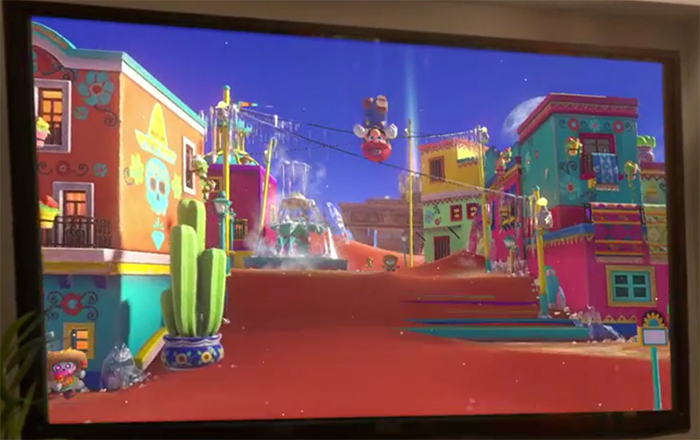 One location seemed to be a hub world filled with buildings and townsfolk dressed in sombreros, while the other clip showed Mario avoiding a Bullet Bill in a level. Another Wii U favorite returning for a second run, Splatoon was the final game shown in the first trailer for Nintendo Switch. It’s unclear at this point if the game is a sequel to Splatoon or an updated version of the Wii U game, but it’s coming to Switch nonetheless. 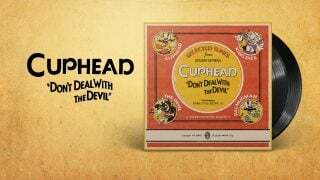 It will be interesting to see how an online-centric game will adapt to being on a mobile console. 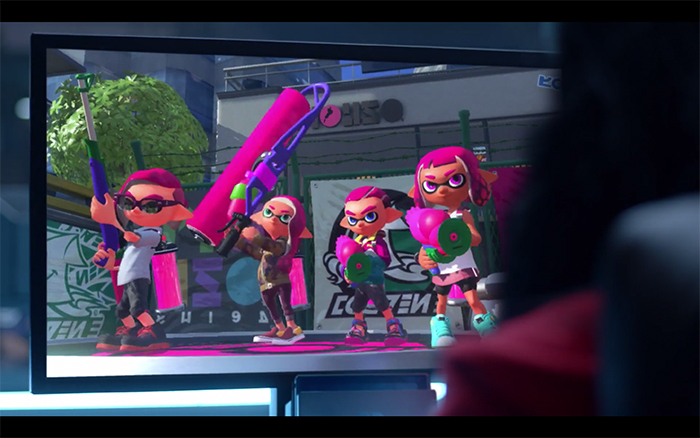 The trailer showed Nintendo embracing eSports through Splatoon, with the game being presented at a tournament. We’re very excited for Nintendo Switch here at Nintendo Wire. Keep coming back over the next few crazy months as more Nintendo Switch news begins to flood in!